A tale of loss, discovery and a shape-shifting frog, set in the mountain forests of South America. It all started in 2006, when researchers Katherine and Tim Krynak were walking through the cloud forests of Ecuador's Reserva Las Gralarias. They came across a beautiful frog clad in the brown and green colours of moss. It was covered in spikes and tubercles, a feature which inspired the Krynaks to dub their discovery the "punk rocker frog". The Krynaks continued their nightly walks through the cloud forest, flashlight in hand, seeking out new and interesting amphibians among the tropical foliage and on the damp ground. Amphibians is their thing and the Reserva Las Gralarias is their place. Yet it took three, whole years before they rediscovered their little punk rocker, less than an inch long, sitting on a mossy leaf, spiky as ever. They picked it up and put it in a container. The next morning they would have a good look at their specimen and take some detailed photographs before letting it go. They thought they might have discovered a new species, but it would take a close examination to be sure. The punk rocker was gone! Replaced by some smooth-skinned square who probably worked in an office. What had happened? 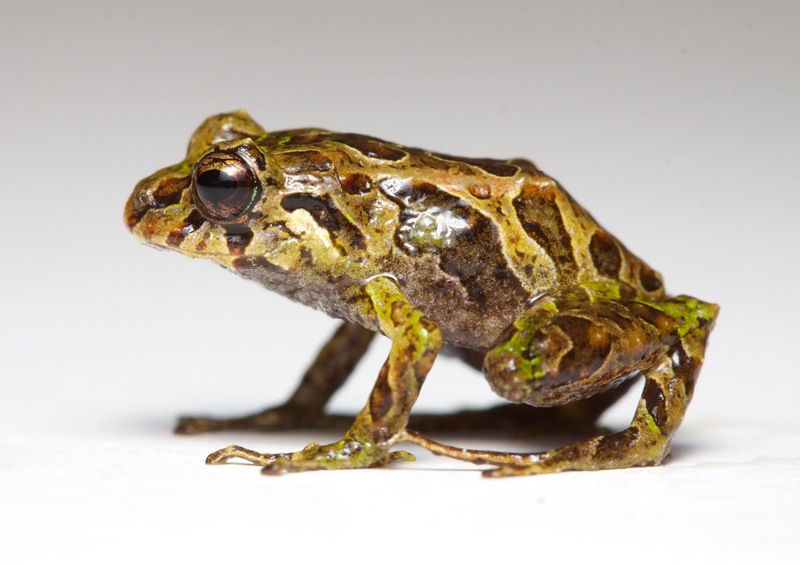 After three years of searching did Katherine Krynak simply pick up the wrong frog? Had she snatched defeat from the moss of victory? Over the course of just a few minutes, the smooth frog grew spikes and tubercles all over its body. This was no ordinary frog. This was a shape-shifting frog. A frog that had command over the texture of its skin and could use it to better blend into its immediate surroundings. Such powers are commonplace among the octopus and cuttlefish but never before seen among vertebrates. 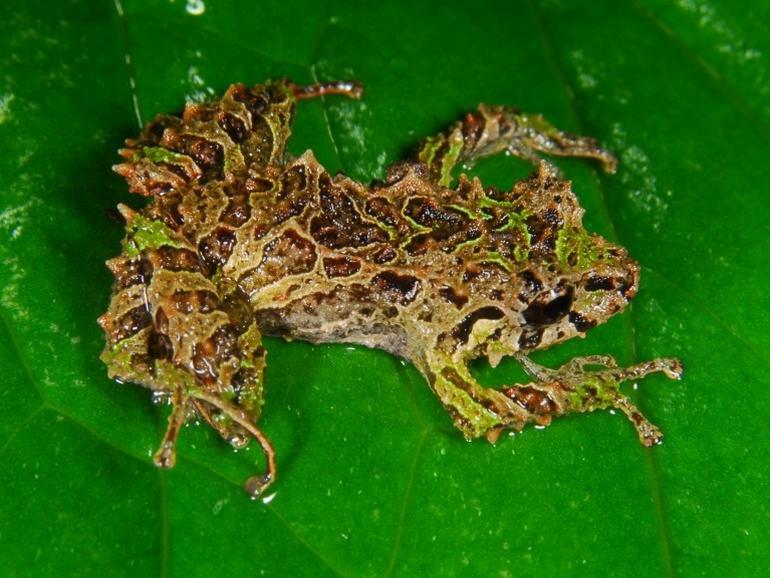 Studies of the frog, its genes and its song show that it is indeed a new species, yet a previously known relative called Pristimantis sobetes has been found to have similar control over its skin texture. This is a bit of a problem since the abundance and size of spikes and tubercles has long been used to identify frog species. 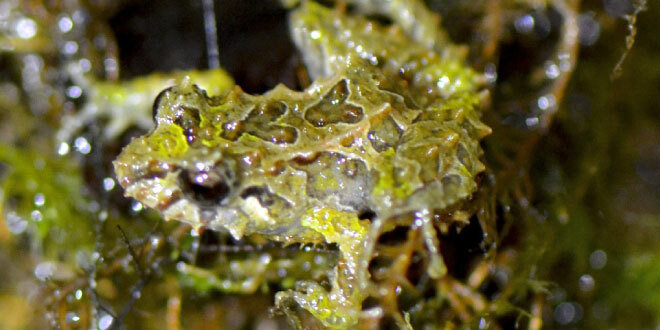 Many frogs all over the world use spiny, rough skin for camouflage, including the Vietnamese Mossy Frog and several others. 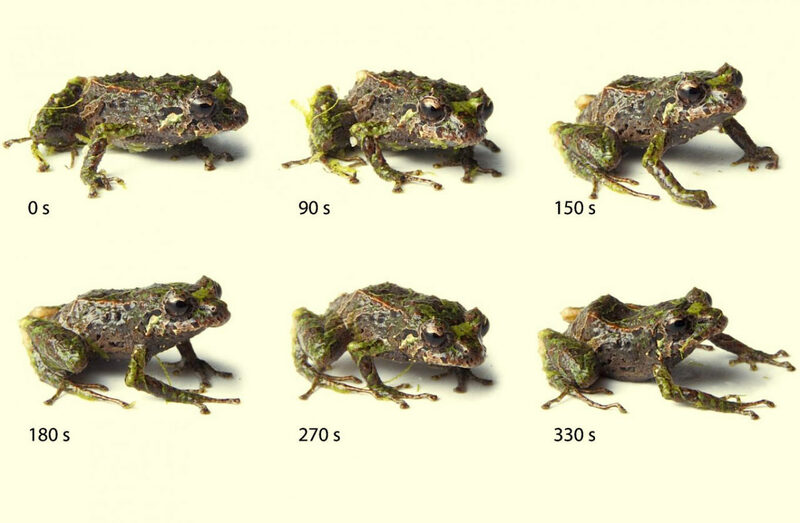 However, to be sure of how many species are really out there, it looks like people will have to spend a little more time on their frog photo shoots in future. And one can't help but wonder how many times over that three year search the Krynaks might have come across their punk rocker without even realising it! Big thanks to Dimitri for bringing this one to my attention! You go, inconsistently punk rock frog! Amazing, amusing and just plain fun to know! My jaw almost hit the keyboard when I saw this post. Just when I thought that frogs had run out of surprises for me, one takes a page straight from the cephalopod awesomeness handbook. Does anyone know if this shape-shifting behavior has been recorded on film anywhere? I MUST SEE IT. As if there weren't already about 14 million reasons to preserve Ecuador's (and other countries') rain forests. Who knows what other biological marvels are out there? Maybe I'm in the minority here, but I actually think the name "mutable rainfrog" sounds cooler than "punk rocker frog" (not to mention a lot more descriptive). @TexWisGirl: It's a media darling! 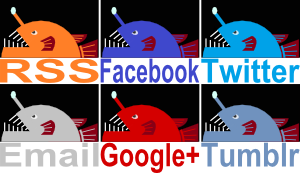 @Lear's Fool: Ha! Thank you! @Porakiya Draekojin: Haha! Those "ribbits" need some backing! @Pangaea88: Definitely amazing stuff! I would dearly love to see it on video but I haven't seen anything yet, unfortunately.